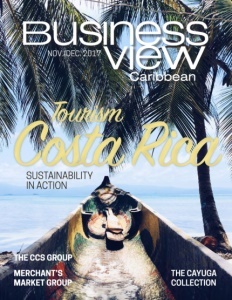 Business View Caribbean interviews Kory Logan, VP of Sales and Marketing for the CCS Group, as part of our focus on best business practices in the ICT sector. 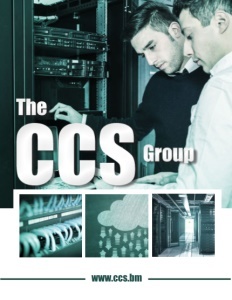 The CCS Group is an Information and Communications Technology (ICT) company that has been providing high-quality technical services to Bermuda, the Caribbean, and Europe for over 30 years. The company was originally founded in 1982, to provide high end data cabling solutions for Bermuda’s burgeoning financial services industry – CCS stood for Computer Cabling Systems. Today, the CCS Group has approximately 45 employees who work out of the company’s head office in Bermuda and branch office in Lisbon, Portugal. Its footprint extends to most of Europe, parts of Africa and all of the English speaking Caribbean. “In Bermuda, our largest vertical is financial services, so we deal with all the big banks; we deal with almost all of the reinsurance companies; we deal with hedge funds; we deal with pretty much everything around the financial services industry and that is our biggest revenue generator. In a competitive marketplace Logan believes that the CCS Group differentiates itself by delivering real value to its customers. He explains, “In everything that we do and every solution that we endorse, we try to look at solutions that allow our customers to do more with less. 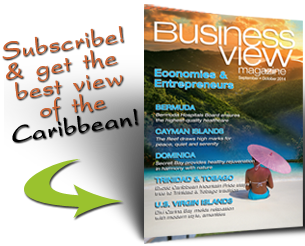 If you look at some of the markets that we serve, like Bermuda, and Cayman, and other tax-optimized jurisdictions, you typically find that they have some common challenges. Usually space is at a premium – square footage is very, very expensive; usually talent acquisition is very difficult because they come from countries with small populations where a lot of the more advanced skills have to be imported; typically, electricity is a very compelling factor – consuming lots of electricity translates into a lot of expense; and usually, they’re businesses that, despite being in smaller jurisdictions like Bermuda, they still have the same requirements as some of the very large, very advanced organizations in a London, or a New York, or a Toronto. Going forward, Logan says that CCS also wants to deepen its relationships with its clients. “We really want to get away from transactional relationships with our customers,” he avers. “We want to get into something more of a symbiotic relationship where their future is highly aligned with ours. So things like having advanced cloud solutions that allow people to do more with less and without them having to fork over so much in capital expenditures but rather having more of an off-ex model – that’s what we want to get into. So, rather than doing boxed sales or one time solutions, we want to look at more of a reoccurring revenue model where we’re in tight relationships with our customers and we’re giving benefits for the long term and not just one solution, and then we talk to them again in another three years. That’s the CCS Group story – from cloud to keyboard, with even the moon, included.